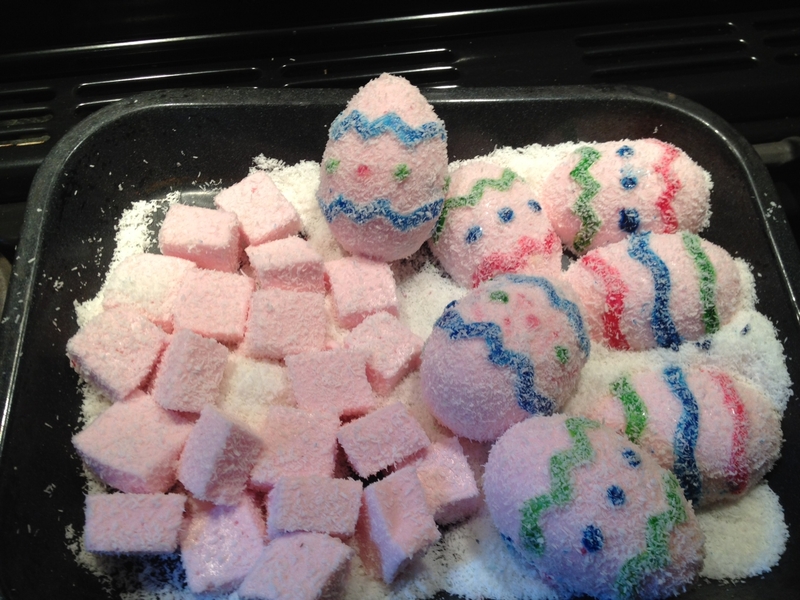 This is a super simple Easter Treat to make, and it’s very yum. 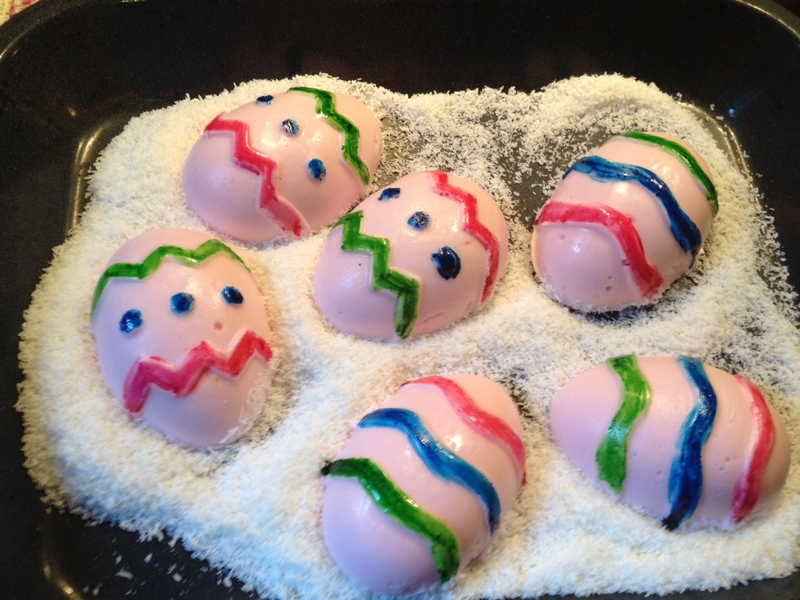 The nests are made from chocolate and shredded coconut, and they make a perfect home for small candy or chocolate eggs, or other Easter novelties. Let the kids help you, and you’ll have these whipped up in no time. *If you prefer, you could substitute the coconut for slivered almonds, cornflakes or crunchy chow mein noodles. Allow to cool slightly, dump in coconut and mix well to combine. Use a dessert spoon to scoop up a large spoonful of chocolate mix. Place on baking paper and shape into a small circle. Hollow out the centre slightly to make a nest shape. Before the chocolate cools completely, place your eggs or chickens in the nest so that they become attached to the nest and don’t roll out! Place in the fridge to finish setting hard. Hint – If you are making several different chocolate batches, start with white chocolate, and then milk, and then make dark chocolate batches last. This way you can use the same mixing bowl without washing between batches. Easter is almost here! Ben and I will be gumboot dancing at Bluesfest again this year – a brilliant world-class blues and roots festival here in our home town of Byron Bay. Maybe we’ll see you there. For those of you who enjoy cooking or who are looking for some easy ideas for Easter gifts, I’ve pulled together a collection of recipes that you can use to make homemade treats for your family and friends. They are all simple enough for beginner cooks and kids in the kitchen. To access the recipe, just click on the blue link and it will take you to the recipe page. 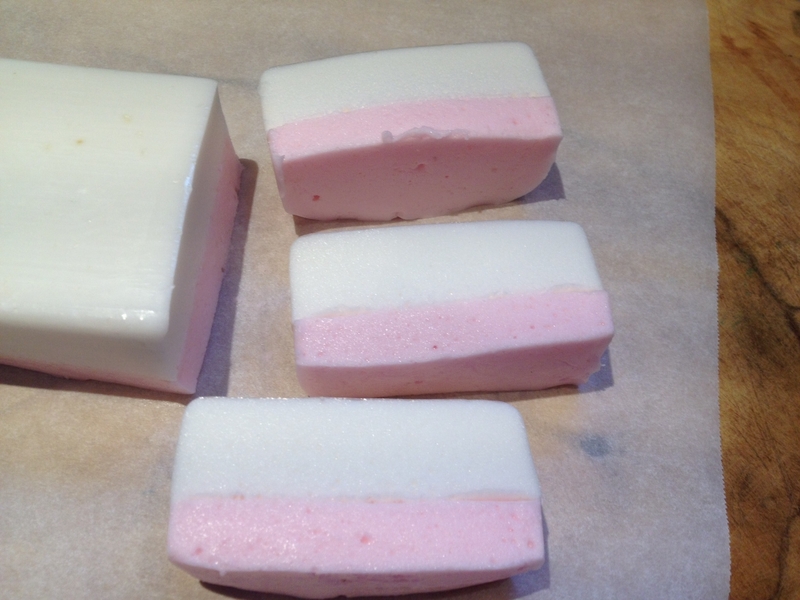 For easy and delicious marshmallows try this marshmallow recipe. For a tasty treat that is gluten free and can also easily be made sugar free, try these Walnut and Dark Chocolate Coconut Bites. This No Bake Yummy Slice combines chocolate with nuts, seeds and dried fruit. It’s irresistibly good and simple enough for the kids to make. 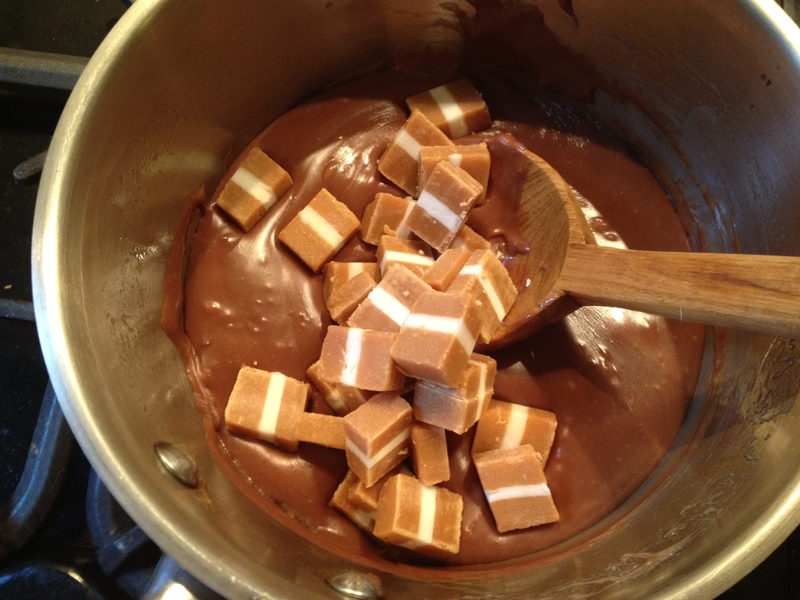 Five Minute Fudge lives up to its name, being able to be whipped up in no time at all. Easy as! But gee, it sure is delectable. This Easter I’m making quite a lot of marhsmallow eggs for my loved ones – they’ll be nestled in a basket with my home-made fudge, and some rich, moist fruit cake. Ingredients: 3 tablespoons gelatine, 200ml cold water, 1/2 teaspoon salt, 2 1/2 cups of sugar, 180ml hot water, 1 teaspoon lemon juice, 1 teaspoon vanilla, food dyes, coconut. Add sugar and hot water to large saucepan. Bring to boil, stirring to ensure sugar is dissolved, and remove from heat. 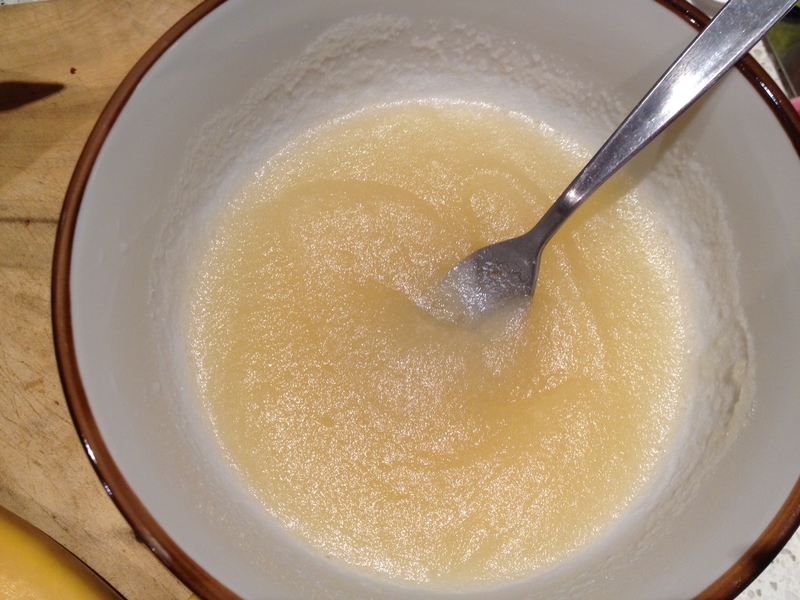 Add the gelatine mix to the saucepan and stir well until the gelatine has dissolved. Then allow mixture to cool slightly. 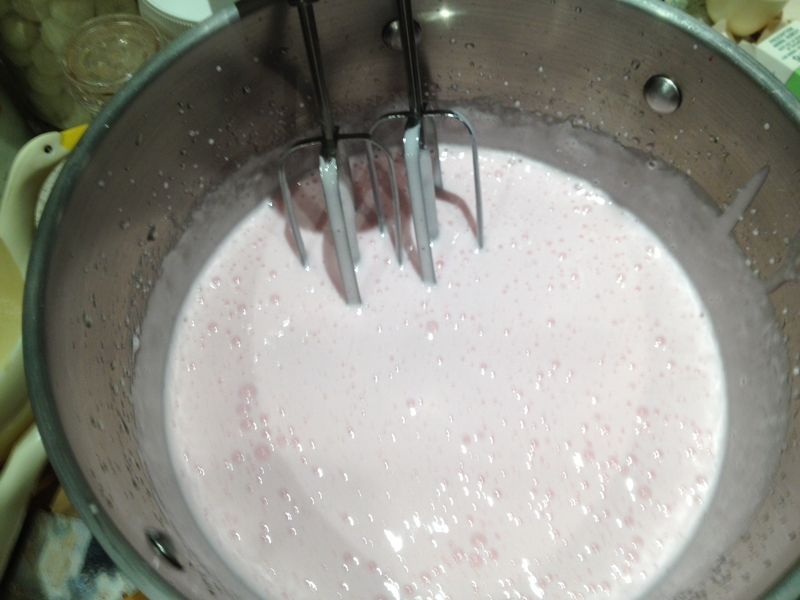 Beat well with electric beaters until the mixture turns thick and white in colour. Add the lemon juice and vanilla. Colour the mixture with a few drops of colouring if you wish. Beat well to mix through. Pour into the tins or moulds and leave for a few hours to set. 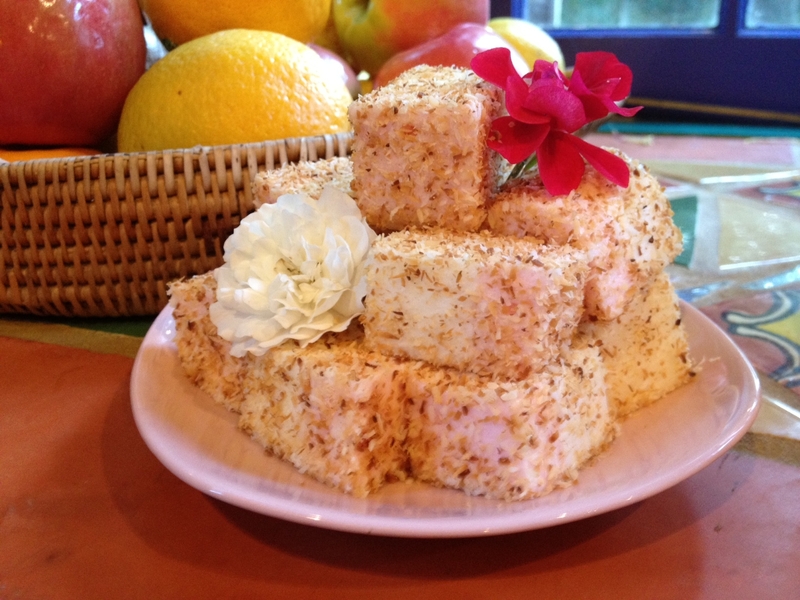 If you are making traditional marshmallows, remove from tin, cut into cubes and roll in plain or toasted coconut. *Toast coconut by placing in dry frypan over high heat and stirring until it colours. Remove from heat straight away and let cool before using. If you are making moulded items, remove from shape and place on some non-stick baking paper. Use a small clean brush and some food dye to paint any markings on your shapes. Shapes can then be joined if desired by pressing surfaces lightly together. 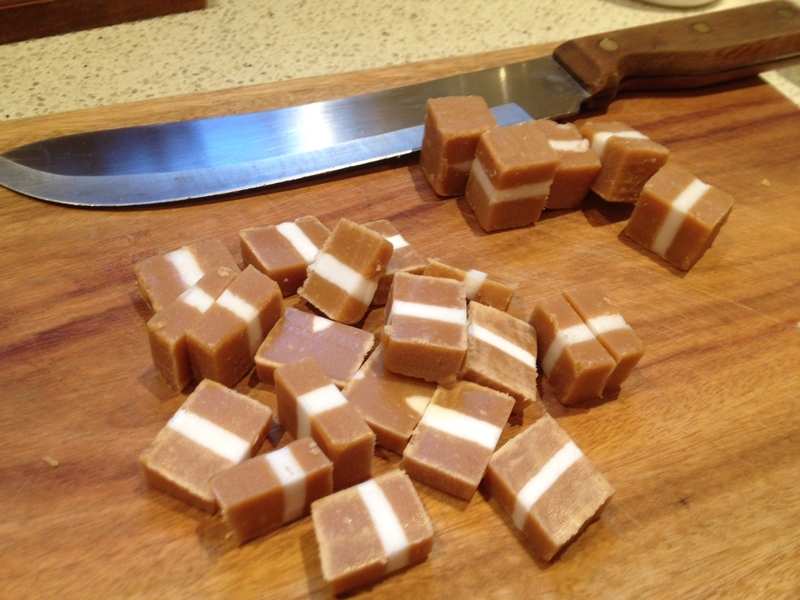 I have always been an old fashioned, hard-core, boil ’em up kind of fudge maker. This makes great fudge, but it’s fiddly and I have spent many hours testing my batches to get them from ‘soft ball stage’ to ‘hard ball stage’- where I can drop a spoonful of mixture on a cold saucer and be able to get it to form into a firm ball before madly getting it into the tins before it sets too hard to manoeuvre. 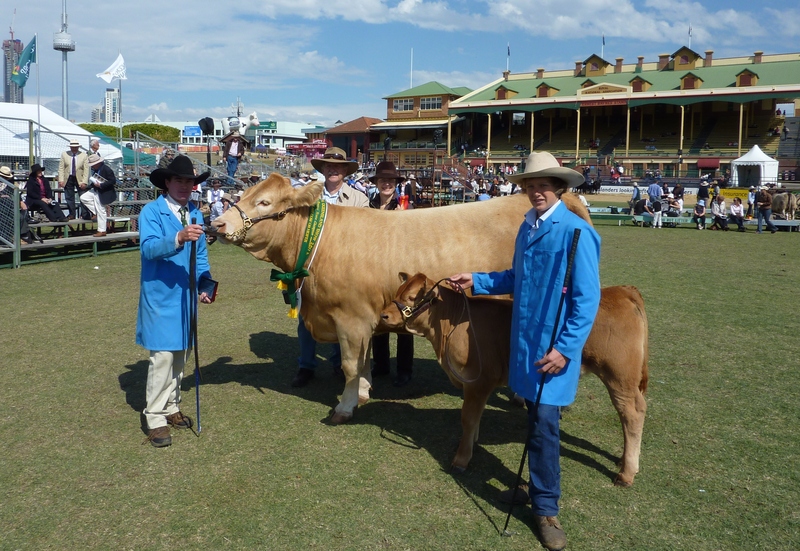 Prize winning cows trump prize winning fudge any day! I make this often for street stalls, gifts and bribes. It may be a cheater’s kind of fudge but it is every kind of delicious. It will be one of the things in my Easter Basket presents for loved ones this year. Note: Use a good quality chocolate. Cheaper chocolate has less cocoa solids and more vegetable oil, which gives a much softer fudge. White chocolate and milk chocolate will also give a softer result. That’s still fine. Just keep it in the fridge or freezer. 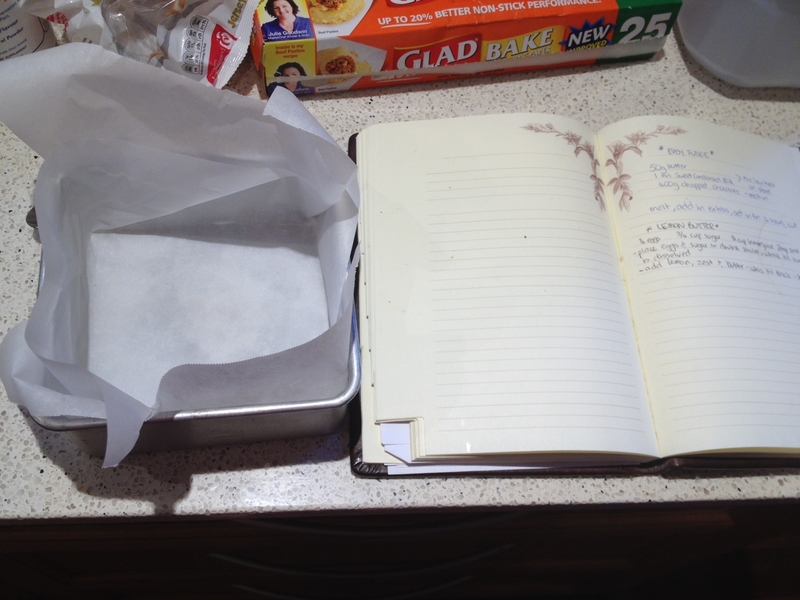 Use baking paper to line a tin. 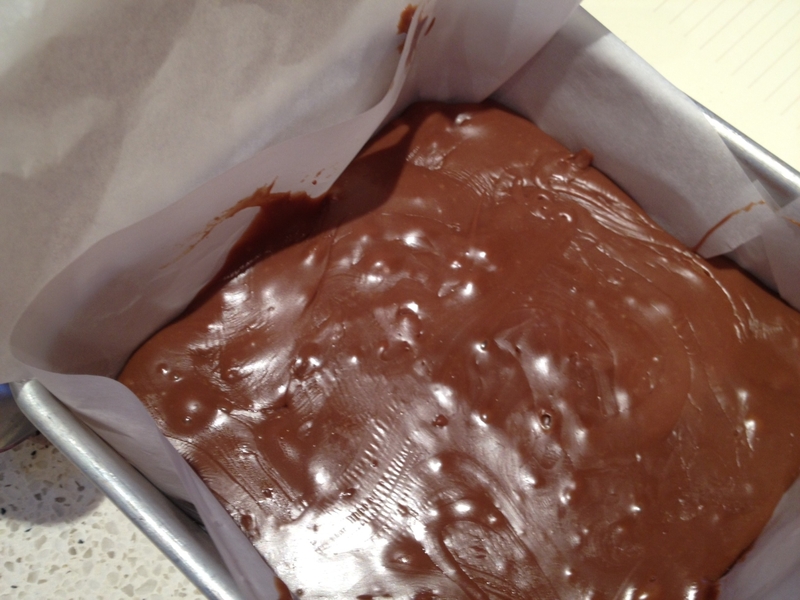 I use a 16cm square tin, which gives a thick slab of fudge, but you could also use a longer, shallower tray. Melt butter in a large saucepan over low heat. Then break in your chocolate. Try not too eat any of the chocolate pieces! If you are going to prepare any variations now is the time to do it! I made a few batches, but this first one I made with milk chocolate and a cupful of jersey caramels which I chopped into smaller pieces. Tip the condensed milk and vanilla into your saucepan and then allow it all to melt. Stir with a strong wooden spoon. The mixture will come together quickly so watch it carefully. Dump in any additions and stir through. Then quickly spoon into the paper-lined tin and leave in fridge for a few hours to set. Soak 3/4 cup of raisins or sultanas in 1 to 2 tablespoons of rum until the alcohol has been absorbed (this works best over a few hours or overnight). 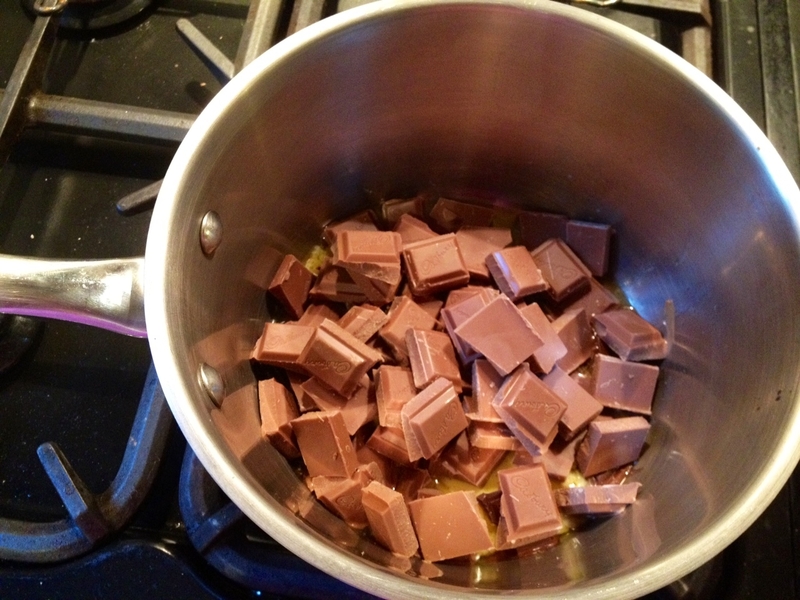 Add to dark chocolate. Add one cup of chopped walnuts and substitute coffee essence for vanilla. Use chocolate of choice. One cup of chopped cream biscuits such as Oreos added to milk or dark chocolate. One cup of chopped glace ginger – this is divine with dark chocolate. OR use 200 g of plain chocolate, and 200g of a flavoured chocolate, such as Lindt Chilli, Orange or Mint. If you live in Australia or anywhere else tropical (or if your central healing is turned up! 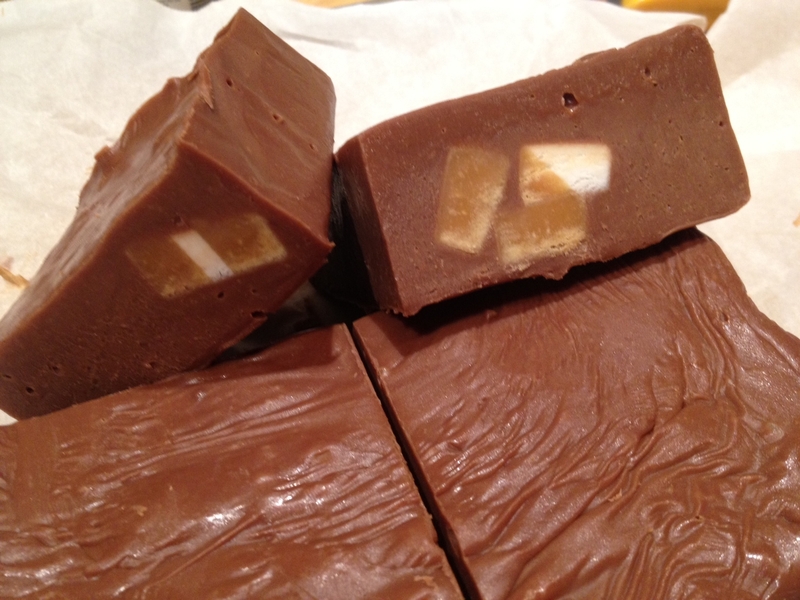 ), keep this fudge in the fridge or freezer, as it will become quite soft in warm weather.